Just a quick note to let you know that the time slot for "Easy Ed's Variety Hour" has changed. I'm still on alternating Friday evenings, but the show now airs from 7:00 to 9:00 instead of 6:00 to 8:00. You can still listen through iTunes (radio/public/WMFO) and you can still get MP3s of archived shows from http://www.easy-ed.net/. In fact, everything--right down to the deep scratches on those Autry Inman 45s--is the same except for the one hour start time difference. Next show: This Friday (9/26) at 7:00. 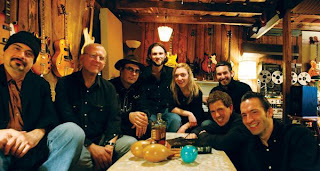 Tune in and catch a live, in-studio performance by J.P. McDermott and Western Bop (http://www.westernbop.com/) right before their live show at the Plough and Stars in Cambridge (http://www.ploughandstars.com/). Don't miss it! Here are some cool events for your calendars. Hope to see you out on the town! This Friday (9/19) don't miss Rocky Velvet at the Plough and Stars in Cambridge. 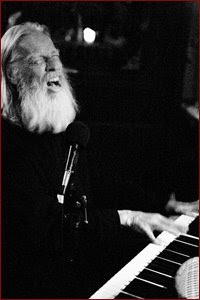 Also at the Plough (9/26) be sure to catch J.P. McDermott and Western Bop (www.westernbop.com), and tune in to “Easy Ed’s Variety Hour” at 7:00 PM that same evening to hear their exclusive live radio performance. 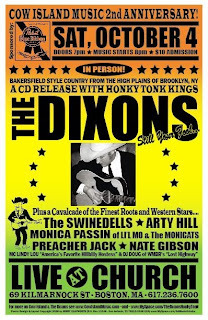 These rockabilly troubadours from Washington D.C. are coming to Boston for a rare club performance and they’re gonna rock the rafters at WMFO too! 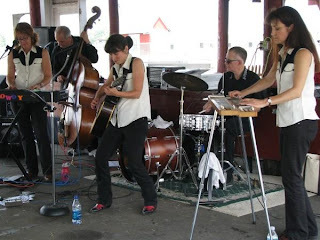 "MASTERS OF RED-HOT ROCKABILLY AND ROWDY HONKY TONK"
On 10/15: The Coachmen, The Sacred Shakers, and DJ Easy Ed are at the Beehive in Boston for Cow Island Music's second Honky Tonk Hoedown! It's a rainy Sunday here in Boston, but a little rain is nothing. I keep thinking about those poor folks in Texas who might just be losing everything they own to storms right now. My fingers are crossed for them, although the news is already bad. I hope it doesn't get any worse. But I'm here to write about music, so I'll do that now. WMFO will roll out their official fall radio calendar shortly. There's a chance my show's timeslot will change slightly, but I believe I'll remain on the air Friday evenings. More news on that coming soon. The archive MP3 of the 9/12 edition of Easy Ed's Variety Hour is available for download now at http://www.easy-ed.net/. The playlist is also there. I started this week's show with a tribute to Eric Laufer of the Two Timin' Three (and Two Timin' Four). Eric died on September 3 in Austin, Texas, when his motorcycle was struck by another vehicle. Eric was a special person--talented, hardworking, in love with music. His deat h is a huge loss. My condolences go out to his friends, his family, and all who knew him and his music. 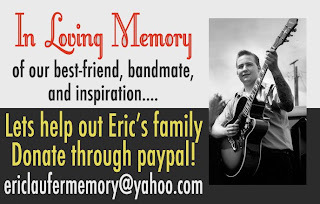 Johnny Carlevale and I are working on a benefit concert for Eric's family, which is scheduled to take place on November 15 at the Midway Cafe in Boston. Many bands have expressed interest in taking part. I'll share additional details as plans are finalized. On May 25, 2007, The Two Timin' Four played live on my show. It was a memorable performance. I reposted an MP3 of it at www.easy-ed.net. 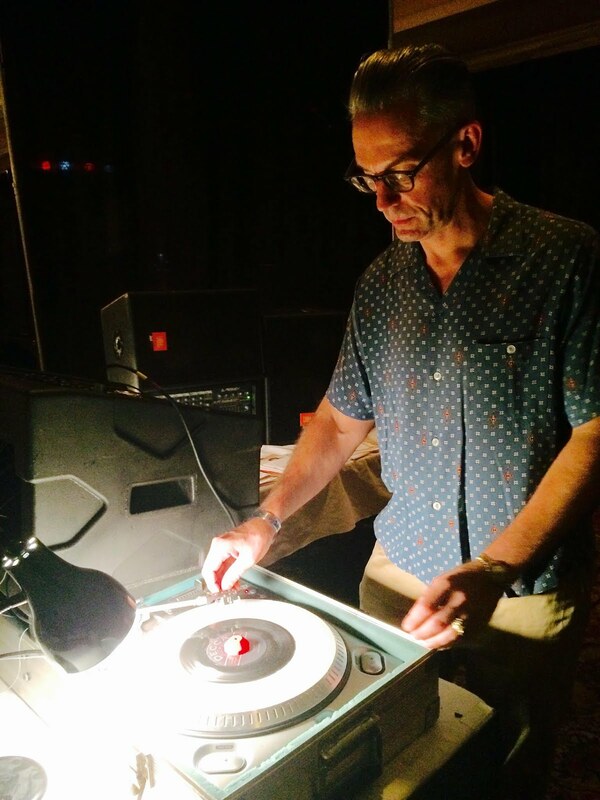 J. Austin Duke is a rockabilly DJ and graphic artist who lives in England. He posts great podcasts that listeners to my show would surely dig. Check out jaustinduke.podOmatic.com to hear them, and also check out Duke's myspace page: http://www.myspace.com/rockabillydukebox . Boogie Woogie Piano man Preacher Jack (http://www.myspace.com/thepreacherjack) went on at 8:00 and got a great reception. I really enjoyed his set, especially his Jerry Lee numbers toward the end of his hour. I played another set before Girl Howdy (http://www.myspace.com/girlhowdyband) took the stage. Mercy! This band has played in Boston a couple of times, but I never had a chance to see them before this. They honky-tonked the night away and had the whole room up and movin'. Go see them when they come your way! The next Cow Island Honky Tonk night will take place at the Beehive on 10/15. I've been asked to DJ that night as well. The bands will be the Coachmen and The Sacred Shakers ( http://www.myspace.com/sacredshakers). 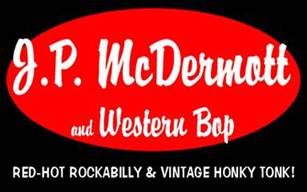 On September 26, J.P. McDermott and Western Bop from Maryland(http://www.myspace.com/jpmcdermottandwesternbop) come to town for an extremely rare (as in, it may never happen again type rare) show at the Plough and Stars (http://www.ploughandstars.com/). That same evening they'll perform live on my show, Easy Ed's Variety Hour. Also coming up at the Plough on 9/19: Rocky Velvet (http://www.myspace.com/rockyvelvet). That is cause to rejoice, folks! RV is the best, and I guarantee you a good time if you head on out for that show. I'll be the big boppin' goomer in the front taking up all the space. See you there! 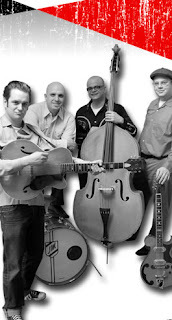 I was shocked to learn today that Eric Laufer of the Two Timin' Three died last night in a motorcycle accident. Eric was a friend, and I am a big fan of his band. My thoughts go out to all of his friends and family. 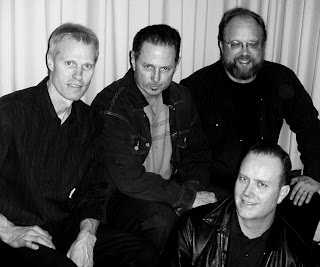 On May 25, 2007, the Two Timin' Four played live on my radio show. Although the studio conditions were primitive, they gave a fine performance. I just reposted an MP3 of it at www.easy-ed.net.